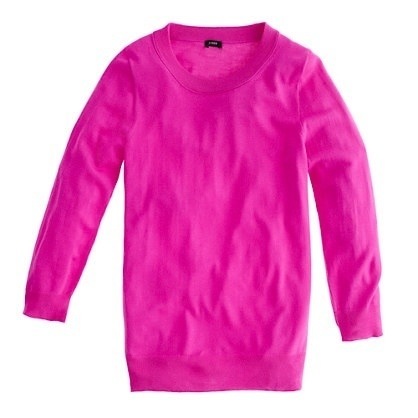 Pink neon cashmere jumper from J Crew (with a special 40% off) The minute the yellow goes on sale it is mine! Some people think there is no point buying from High Street sales. I’m not one of them. The Zara sale started at midnight on Thursday. I ordered loads and am returning loads. 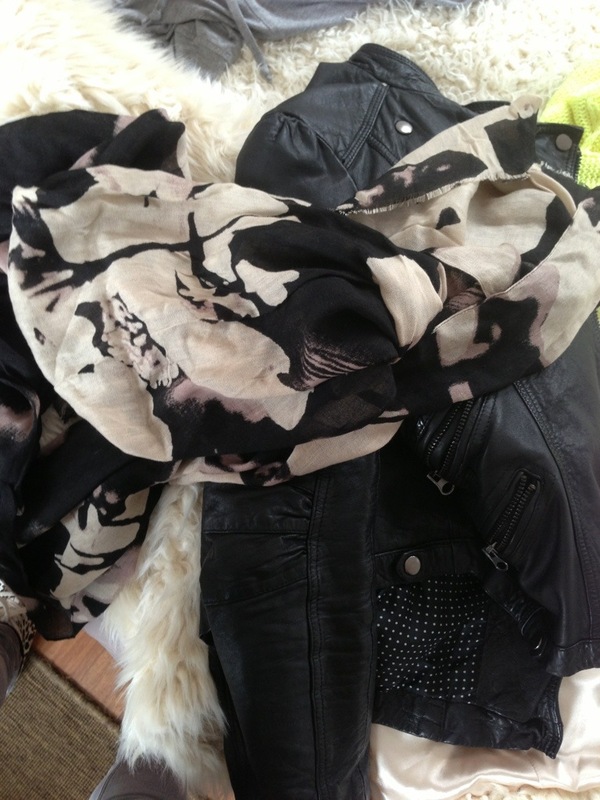 Everything I am keeping is pretty staid but will be worn a lot – that is after all what makes it a bargain, non? Very simple and not the greatest of reductions but I have tried this bib fronted shirt several times in store and think I will turn to it often with skinnies and flats. I have had this top in my possession three times before and each time I have reasoned that it is very pretty but would snag quickly in my life. With a tenner off I decided to buy it again. I will wear it simply with jeans and flats and am pleased with the fit and colour under my old snakeprint jacket which I often wear when I (rarely!) go out. Again, not the most exciting of purchases but my old leopard print shirts are too small and too big so I needed a new one and this is very simple and easy to wear. I can’t find it on line but it was about £12. This tshirt looks nothing on line but it is a flattering fit and will dress down some of my smarter pyjama style trousers nicely. I mentioned some of the great deals they had on sunglasses last week. The pairs I ordered have all gone back. You can’t tell it by looking at me but I have a very small head and they all fell off. Some of them were great shades though and I hope someone got and loves a pair. While I was going through the returns form I thought it would be rude not to have a peak at what else they had on offer. I have been looking for these Sam Edelman Harpers in the snakeprint ever since I had them, returned them & regretted it last year. They’ve been on the Outnet for ages but in small sizes. I finally decided to go for the zebra instead and I liked them (you may want to consider sizing down if you are a half size) until I opened my ASOS order and found shoes that made my heart leap. These are they – River Island Sachas. I realise they won’t be making many hearts leapt but how I love them. Under half the price of the Harpers, so soft and easy to wear. I am having a big internal fight to return the similar Bertie Moirans. The H by Hudson Horrigans I ordered go back. I’ve wanted them all year and when I finally took delivery I didn’t even need to try them on to know they’re not for me. I have form buying winter gear too early anyway (though when is too early in the UK?!) and am pleased not to have fallen into that trap this time. I have a funeral to go to next week and all of my suits are long given away (to the brilliant Dress for Success) I ordered a few black dresses from ASOS which were all disappointing. I think I may just borrow something from one of my sisters on this occasion. 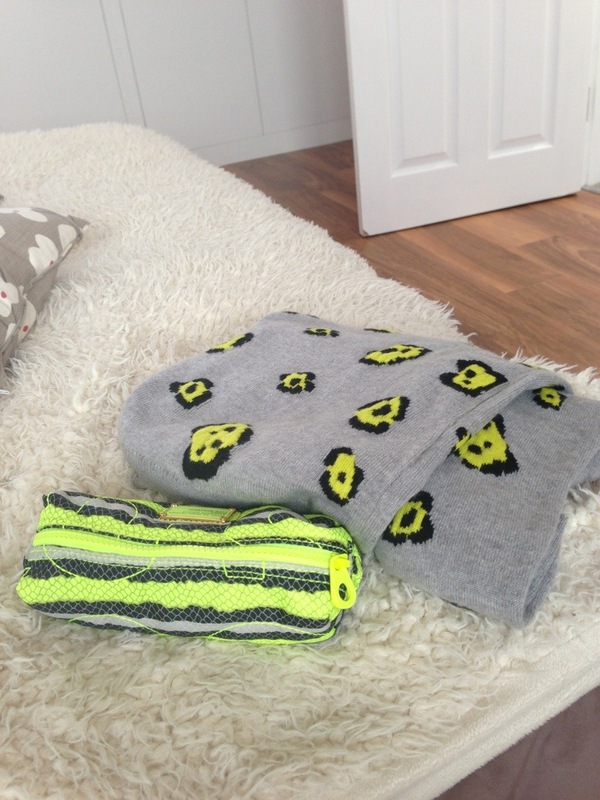 I would have made some decent purchases from Topshop and Mango too (thank you Joanna!) but their websites let you shop but not check out. Such a waste of time. Hey ho. For me one of the best signs that something really was a good buy is me wanting to wear it immediately. I was very happy to go out (to the park!) in some of my new gear (though not so happy that I need pretty thick cashmere in June!!) So happy I am double chin smiling at the mirror! This entry was posted in Outfits and tagged Bertie, Chinti & Parker, H by Hudson, J Crew, Marc by Marc Jacobs, net-a-porter, River Island, Sam Edelman, Zara on June 25, 2013 by Eve WornOut. Today’s vest is the fluro lime version of the black Ikat one I was wearing yesterday. I have it in pure black too. It is quite long and so I have tied a knot in the back. It is also a tad sheer but I prefer to double up on vests anyway. It is £7.99. I have mentioned before my reliance on these H&M vests. I have many of them in every colour and wear one as a base layer every day. I am wearing a white one under the lime printed vest. They are often out of stock on line but available in abundance in store. 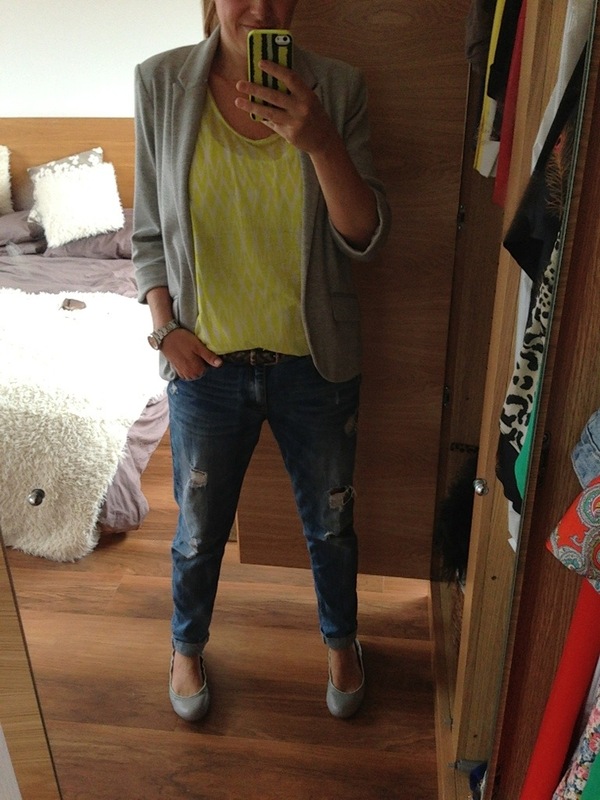 I am wearing the vest with Zara distressed boyfriend jeans, Gap grey ballet flats, old grey Zara jersey blazer. 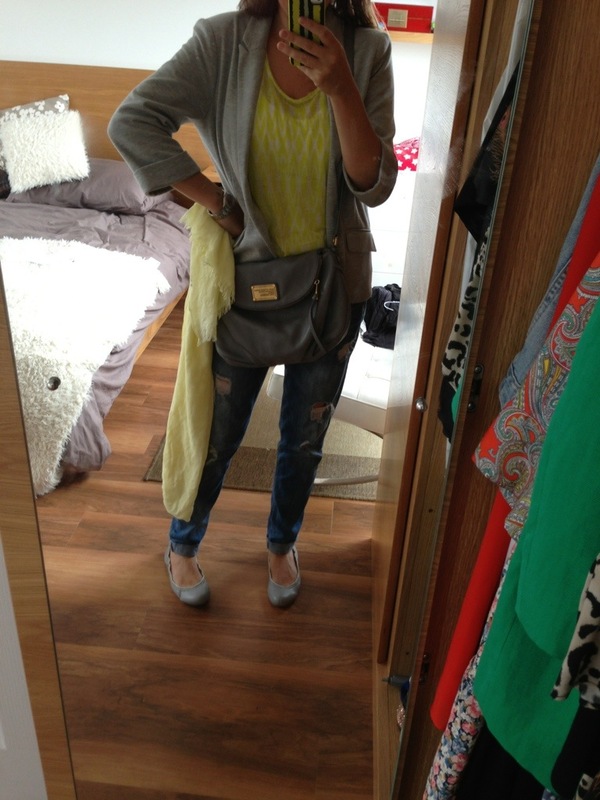 And added Marc by Marc Jacobs grey bag and a yellow Zara scarf to go out. I have four new fluro flashes too. 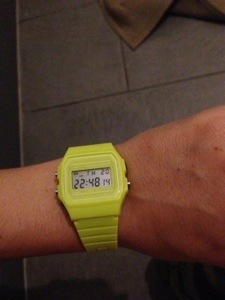 Marc by Marc Jacobs iphone cover, Marc by Marc Jacobs makeup bag, H&M fluro necklace and a neon watch which was £5 from the H&M kids section. 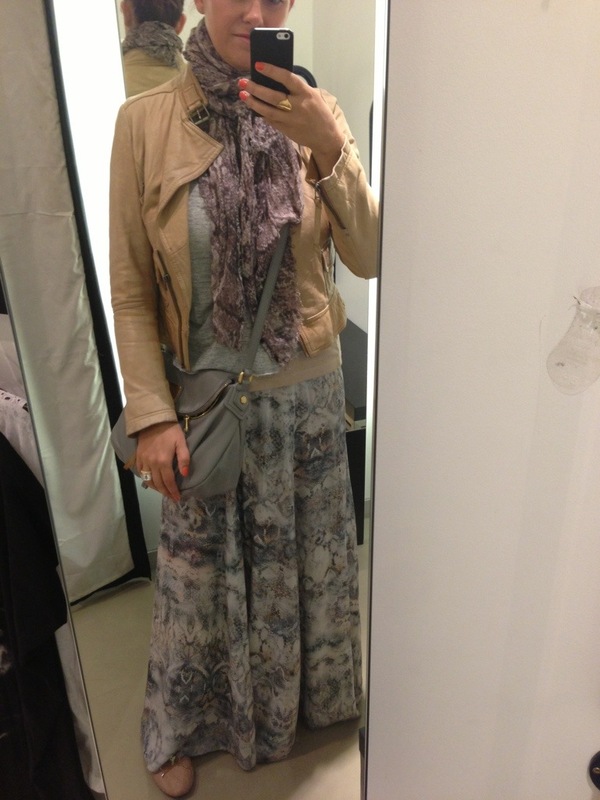 This entry was posted in Outfits and tagged H&M, Marc by Marc Jacobs, Zara on June 21, 2013 by Eve WornOut. So today I tried harder and felt happier in my clothes. I also went shopping which almost always makes me happy. This is the happiest spending £7.99 has probably ever made me! Thanks H&M! The first of today’s odd poses! I tried the blue snake version of this before but it did me no favours. I like this much more. 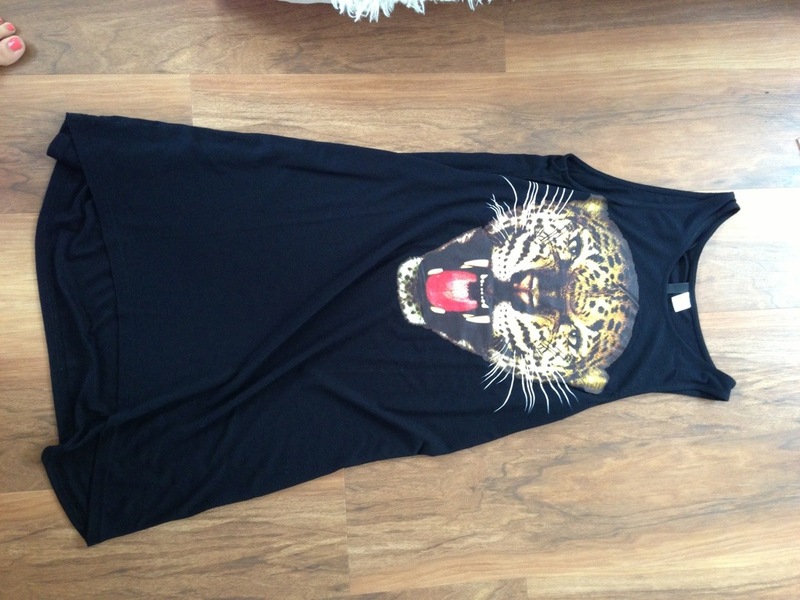 Again, it is from H&M. This bag was less than £10. 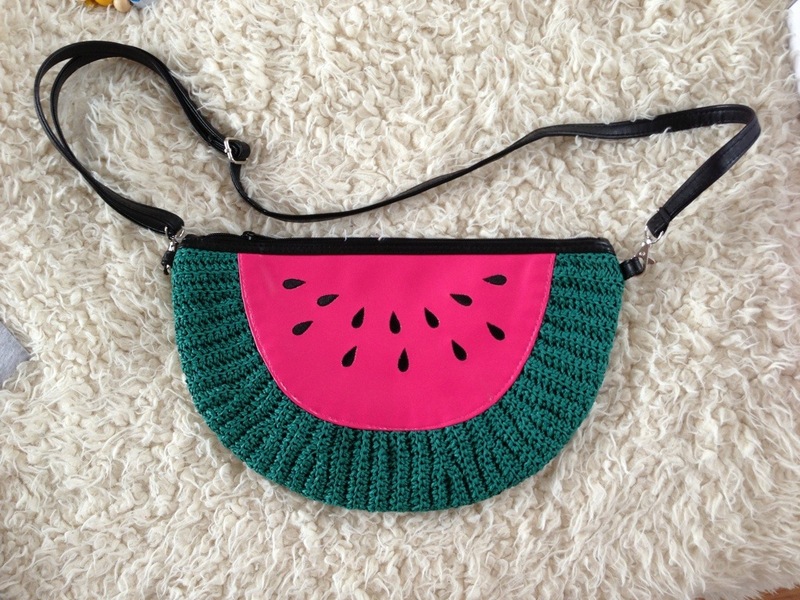 Watermelon reminds me of Italy in summer which always makes me happy so it has come home with me. 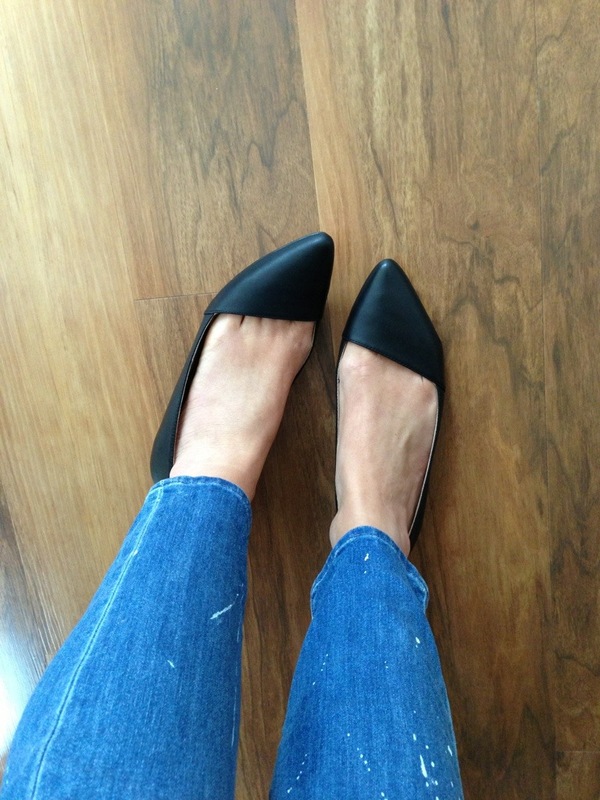 These black Dobrus flats from Aldo are simple but comfy. My sister had a pair years ago from Poste Mistress and they looked great with jeans. I hope these will too seeing as my sandals are getting so little wear. 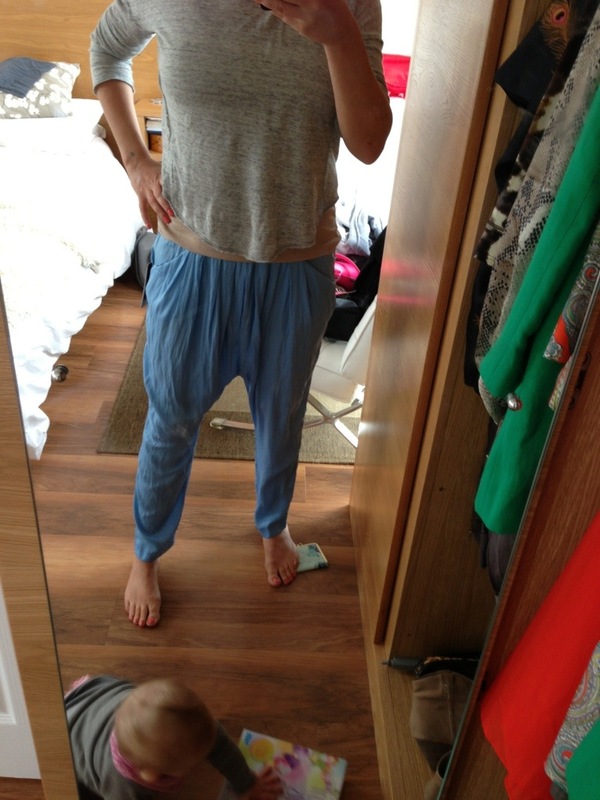 I got these pale blue harems in Zara (though they describe them as palazzo trousers) I plan to wear them with a grey tshirt and silver sandals. And finally the reason I’m really happy! My photo isn’t doing this beautiful Zara coat justice at all. You’ll be seeing a lot more of it so I will make sure I get a better photo next time. I’m off to smile at my final purchase – La Bambina’s first tutu! This entry was posted in Outfits and tagged Aldo, H&M, Marc by Marc Jacobs, Mint Velvet, Poste Mistress, Sam Edelman, Zara on May 30, 2013 by Eve WornOut. Anyone who has followed our blog for a while may recall the hoops I hopped through to get La Bambina’s passport to go abroad just before Christmas. Today I am going to rectify an oversight concerning Little Legs’ one. I know how to keep things exciting. Nothing like that “will we / won’t we be able to go” in the days before a much anticipated special break. I’m dressed for warmth and hanging about and maybe a light smattering of shopping. My Barbour Arctic Parka is annoying me at the moment. Maybe it is because I still need it at the end of March. It feels uncomfortable anyway and I do not cope well when I feel uncomfy, particularly when I am dealing with this self inflicted stressy episode, so I’ve banished it. Instead I am wearing a leather jacket with a very warm Oasis fur gilet on top, Marc by Marc Jacobs grey cross body bag, grey Topshop Leighs, black and white striped heattech, pale grey N.Peal cashmere jumper, black, white & grey Mint Velvet scarf, with Zara black and white studded trainers for running around. The Oasis furry gilet was a sale bargain. Someone alerted me to it and I snapped it up. We like to follow blog etiquette and thank / link to people we “copy” things from but I have no idea who it was. Maybe it was one of my WornOut pals. Thank you anyway if you know who you are. This entry was posted in Outfits and tagged Marc by Marc Jacobs, Mint Velvet, Oasis, Topshop, Zara on March 26, 2013 by Eve WornOut. I had been doing rather well on my self-imposed spending ban, but it all came an end in the last week or two. In my defence it was my birthday that triggered it off, and birthdays do need celebrating so I’m not feeling too badly about it. For various reasons I have not had as much time to wander around the shops lately which has had a very positive effect on my bank balance. Not visiting Zara on a weekly basis will probably fund a holiday this year! Not that I’m giving up on buying, but I am only purchasing something if I really, really love it. To this end I have a secret Pinterest board, where I pin things I have my eye on. If I’m not bored of it after a week or two of daily visits then I’ll give it serious consideration. And so the Marc Jacobs Dragon Scale scarf, which many of the fabulous WornOut ladies have, found it’s lovely way into my wardrobe. I spent about 6 weeks pondering over it! Ridiculous really, it is “my” shade, raspberry red, goes with lots in my wardrobe and I love it. 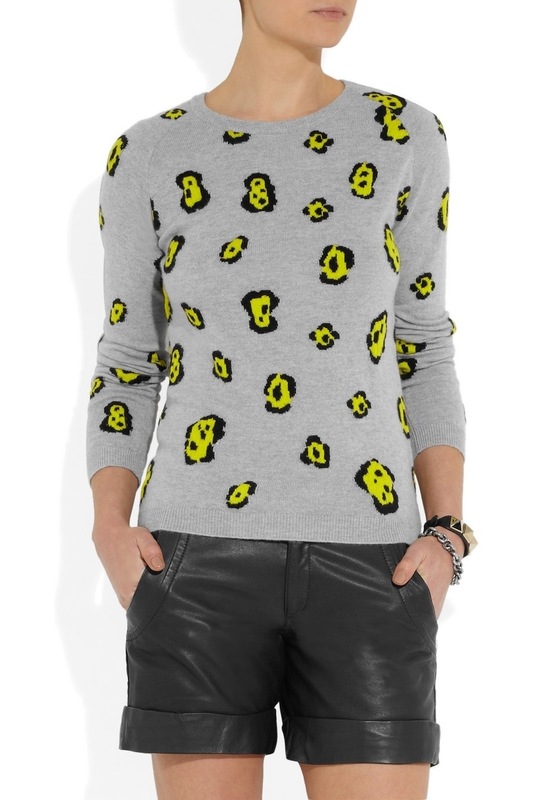 I found it on Revolve for a pretty good price. I wore it out today with my Sonia Rykiel peacoat, and my Mulberry bag. Underneath, I had many layers, Heatgen long sleeved vest, charcoal cashmere jumper, last years Zara blazer, and Whistles crepe trousers from the January sales. 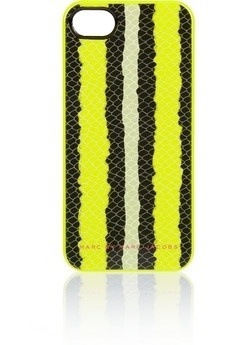 I am very impatiently awaiting delivery of this baby, 8 days and counting…come on DHL! I spotted it years ago on a blog, I think it was The Sartorialist, and loved it, but I had no idea where it came from. I was really pleased to stumble upon it on a rainy afternoon of web surfing. I want to wear it NOW! Here is the original photo which inspired the purchase. It’s from Konrath von Reumont, who have some other cheekily Diptyque-like items, I love them. And just this morning I bought these boots. I have been after gold ankle boots for what seems like years, my poor WornOut friends must be fed up hearing about my quest. But my shopping motto isn’t ‘Persistence Pays’ for nothing. After many gold boot disappointments, these are mine. Reduced too, wouldn’t you know with a cheapskate like me. 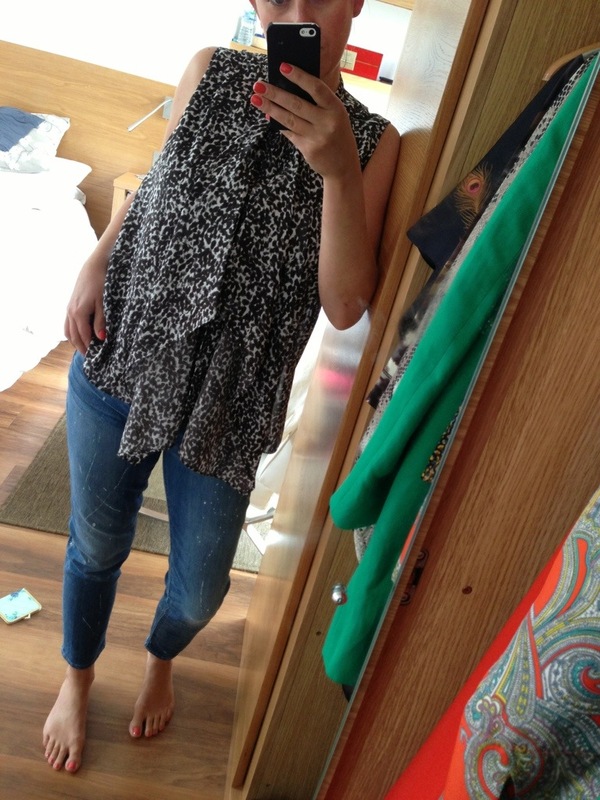 I just had an excited try on now – couldn’t decide whether the jeans should be in or out! I am looking forward to wearing them with olive green skinnies, and my new t-shirt should the temperatures ever rise above 3 degrees. They are called Picker from Dune. The leather is lovely, the toe is pleasingly round (for I am fussy about toe shapes) and the heel is a good ‘running around without getting sore feet’ height. What more could I ask for?! So that’s me done for a while, I hope! Lastly I wanted to give a mention to a great blog that I came across recently, written by the very clever indeed, and very lovely Mel. I have been home educating one of my children for the past while (hence the lack of shopping opportunities) and Mels blog has been invaluable in giving me ideas for working with him. Without it we would be doing algebra all day long, so my boy has a lot to thank Mel for! I’m sure that anyone with school age children will find something useful on ATeacherWrites.com. This entry was posted in Outfits and tagged Dune, Marc by Marc Jacobs, Mulberry, Sonia Rykiel, whistles, Zara on March 23, 2013 by Emma WornOut.